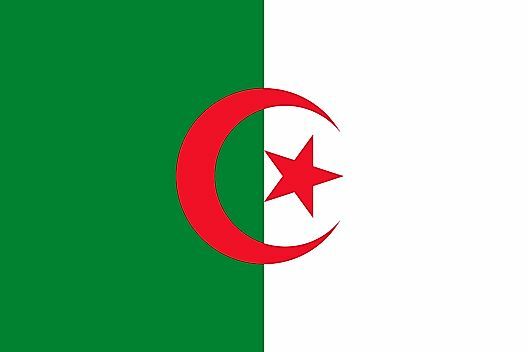 Algeria's flag was officially adopted on July 3, 1962. The flag features two equal vertical bands of green and white with a red, five-pointed star within a red crescent centered over the two-color boundary. The crescent, star, and color green are traditional symbols of Islam (the state religion). 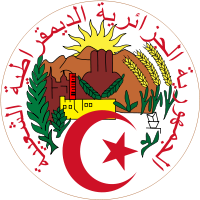 The national emblem of Algeria was adopted in 1976, and features the Atlas Mountains and cityscape encircled in Arabic text reading: "The People's Democratic Republic of Algeria." The traditional Islamic crescent rests below the mountains. What Type Of Government Does Algeria Have?